Michael received his Bachelor's of Science in Earth Sciences from Rice University in 2008 and continued on to earn his Master's of Science in Geosciences from The University of Texas at Austin in 2012. As the Nature's Treasures Retail Manager, Michael sees to daily operations, employee relations, customer relations, jewelry purchasing, educational outreach, and marketing & advertising. Keep an eye out for him on the “We Are Austin” morning show with CBS Austin. 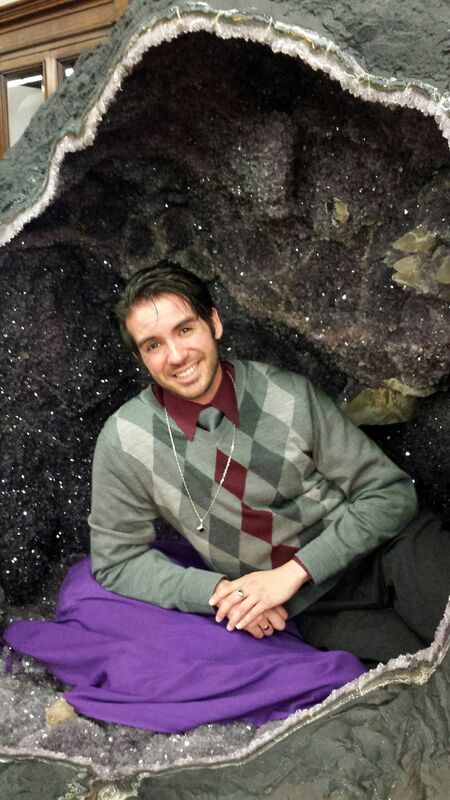 Michael is a geek at heart, loving all things mineral and the X-Men. Be sure to say “We rock!” when you see him around town playing PokemonGo!